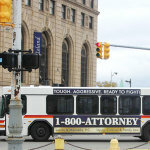 There is no doubt that bus ads are an effective form of outdoor advertising; especially for law firms. These mobile billboards are quite visible and can be a great tool for raising brand awareness. While there are many different marketing approaches available to attorneys, the benefits of outdoor advertising for a local business cannot be ignored. This doesn’t mean a company should limit itself to only one type of marketing tactic; however, there is little doubt of the importance of reaching the largest proportion of your firm’s target audience. The key to mass marketing is reaching as many people as possible. Attorneys will always have a larger target audience than other professions because essentially everyone in your area could be a potential client. With the competitive nature of the legal industry, it’s more important than ever for an advertising campaign to be highly visible. To get a leg up on the competition, you need to effectively brand your firm into the minds of your audience. Unlike newspaper and magazine advertising, bus ads are highly visible. In high traffic cities, they can reach thousands of people every day. Bus ads are essentially mobile billboards which allow you to reach potential clients from all across your market area. Rule #1 with outdoor advertising is simplicity. It’s recommended that your ad contain less than 6 words in order to effectively get your message across. With bus ads, you really need to promote your brand. Many attorneys choose to focus on the name of their law firm, but by leaving out a call to action, you’re throwing your money away. Using a numeric phone number in your outdoor marketing campaign is, for obvious reasons, not a good idea. Branding an easy-to-remember vanity phone number is the most effective form of outdoor advertising and gives potential clients a direct route in order to contact your firm. Not every vanity number is created equal, though. Many vanity numbers available now begin with 1-888, 1-877, 1-866, or 1-855. These prefixes do not convey the same prestige as 800, and worse, many of those who do call will dial 1-800 by habit. A number such as 1-866-LAW-4-YOU simply won’t be nearly as effective as 1-800-ATTORNEY. 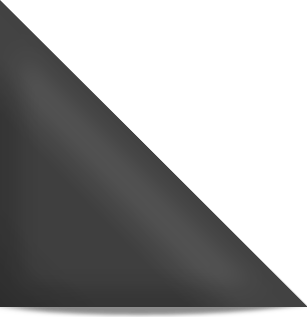 1-800-ATTORNEY is the most recognizable vanity number in the legal industry, and your firm may be able to purchase the rights to 1-800-ATTORNEY for your entire state – and for cheaper than you think! One of the most important benefits of bus ads is the cost factor. While many forms of mass marketing can be quite expensive, bus ads can be much cheaper than other forms of advertising. In fact, many researchers have found that bus advertisements are the least costly of all researched media formats! The lower cost factor of course means that your law firm can realize a much higher return on investment. If you’re interested in aligning your firm with the power of the 1-800-ATTORNEY phone number, call us today at 1-800-704-3578 and learn how affordable it really is. We can even use our experience to help you plan an effective marketing campaign in your area! Featured bus ads by Lucido & Manzella, P.C.